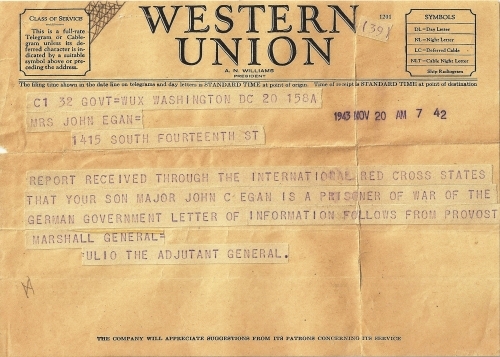 "Maj John C."Honest John" Egan. Sometimes referred to as Bucky in our records. 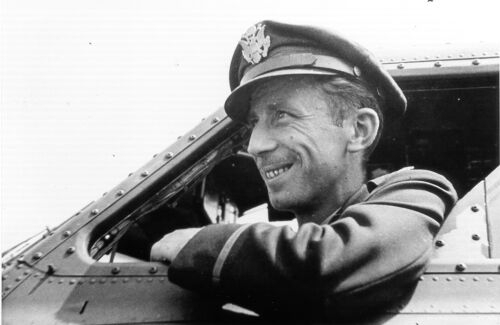 MAJ. JOHN CLARENCE  EGAN SERVED THE 100TH AS ITS  FIRST AIR EXEC AND LATER AS COMMANDER OF THE 418TH BS. HE PASSED AWAY ON 16 APRIL 1961 FROM A HEART ATTACK. 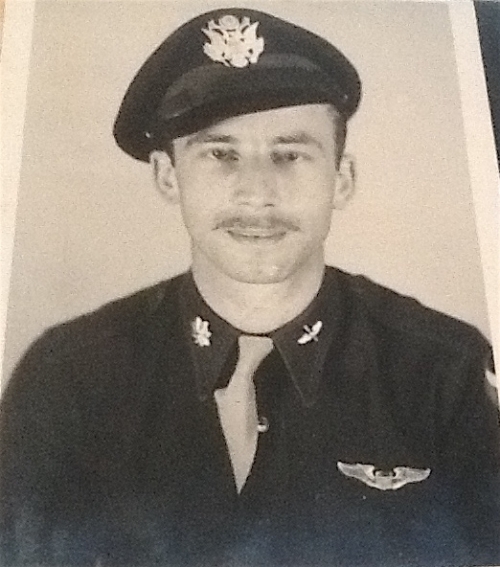 HE FLEW THE MUNSTER (10 OCT 1943) MISSION WITH THE JOHN BRADY CREW AND BECAME A POW. THE 100TH HAD THREE "BUCKIES", EGAN, ELTON, AND CLEVEN. 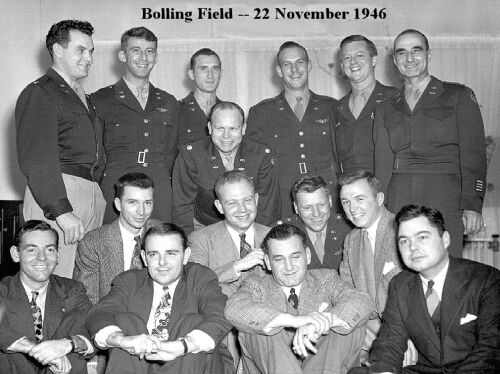 TWO OF THEM, EGAN AND CLEVEN, WERE LOST IN A TWO DAY PEROID; CLEVEN WITH DeMARCO AT BREMEN ( 8 OCT 1943) AND EGAN AT MUNSTER WITH BRADY. CAPT. ELTON TOOK OVER CLEVEN'S 350TH AFTER THE MUNSTER MISSION AND COMPTETED HIS TOUR. 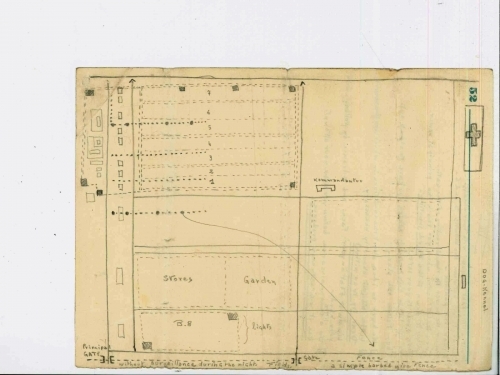 CLEVEN ESCAPTED FROM A POW CAMP AND RETURNED TO THE 100TH BUT NEVER WENT BACK ON OPERATIONS, BEING RETURNED TO THE STATES AS WAS THE CASE WITH ESCAPING POWS. 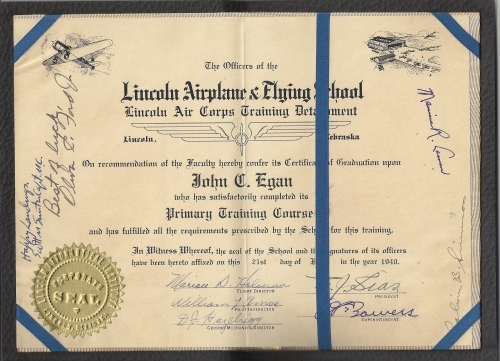 IN AN INTERVIEW WITH BUCK CLEVEN (JAN 2001), HE REVEALED THAT HIM AND EGAN WERE ROOMATES THROUGHOUT FLYING SCHOOL. IN FACT, IT WAS EGAN WHO GAVE GALE CLEVEN HIS NICKNAME "BUCK". SEEMS THAT MAJ EAGAN HAD A FRIEND IN WISCONSIN THAT WAS NAMED BUCK WHO LOOKED EXACTLY LIKE CLEVEN. EVERYTIME EGAN INTRODUCED CLEVEN TO PEOPLE, HE SAID "HERE IS MY FRIEND "BUCK" CLEVEN. 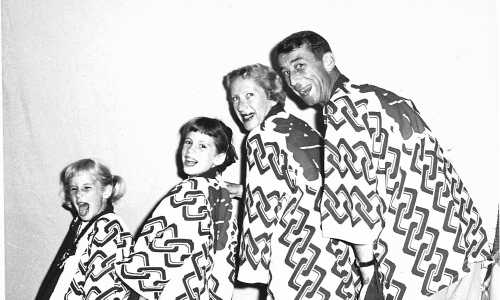 CLEVEN SAID THAT EVEN THOUGH HE DID NOT LIKE IT, THE NICKNAME STUCK AND FROM THAT POINT ON, HE WAS "BUCK" CLEVEN. CLEVEN SAID THAT JOHN WAS A QUITE PERSON WHO WAS QUICK WITTED AND A GOOD DRINKER. A VERY LIKEABLE INDIVIDUAL. BOTH OF THEM SPENT TIME IN SEBRING FLYING B-24 SUBMARINE PATROL. 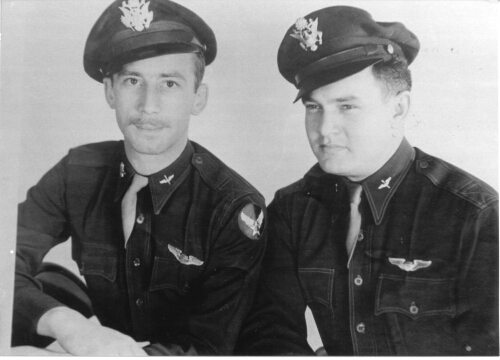 JOHN ALSO BOUGHT HIS FAMOUS FLEECE LINED FLYING JACKET WHILE TRAINING PILOTS AT SAN ANGELO TX. SEEMS IT WAS ARMY AIR CORP ISSUE AND WAS BEING DISCONTINUED. JOHN LOVED THAT JACKET AND IS SEEN IN MOST PICTURES WEARING IT, CLEVEN THOUGHT IT ALWAYS LOOKED DIRTY. BOTH MEN REMAINED CLOSE FRIENDS AFTER THE WAR, UNFORTUNATELY JOHN PASSED AWAY FROM A HEART ATTACK AROUND 1961 AT THE AGE OF 45. HE HAD TWO DAUGHTERS AND WE WOULD LOVE TO HEAR FROM THEM. 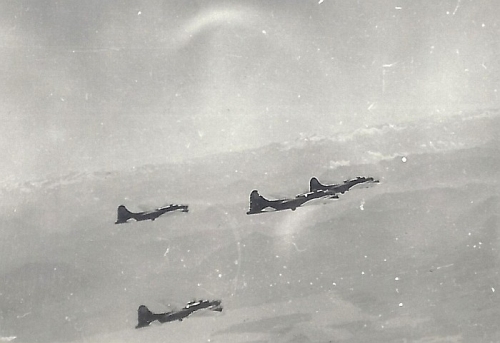 MORE REMEMBRANCES FROM GALE "BUCK" CLEVEN:  POW experience on Mooseburg march. During the march to Mooseburg from Stalag Luft III, we came to a rest in a building used by Polish and Russian Slave labor, the straw mattress  on the bunks were so infested with bugs they could have moved by themselves. We burned the straw mattress's and then washed down the concrete building with cold water. Now come night time this buiding was damp and cold and we only had one banket each and had to sleep on cold springs. Well that night,  John Egan came up to me and said" Buck, I think there are some strange things going on in this camp", to which I replied he was crazy. Llater he was on the lower bunk and I was on the upper bunk on metal springs and one banket and the building getting awefully cold. John says to me, "Buck, can I climb up into your bunk, and my reply was "John, I think there are strange things going on in this camp!" 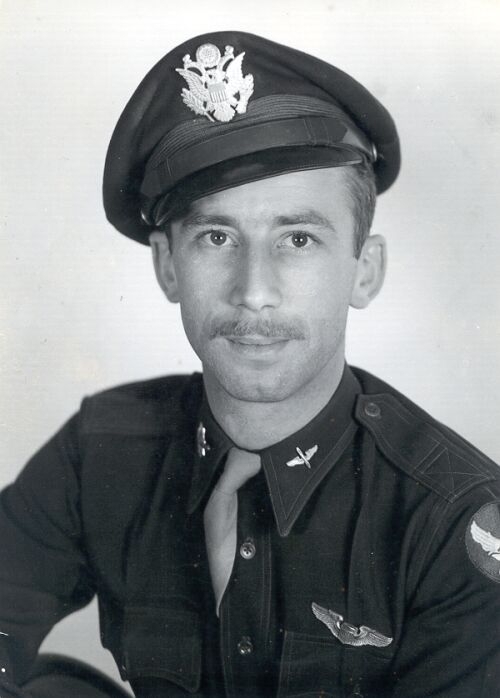 Upon John's shoot down over Munster (led the mission to avenge his frind Gale Cleven bing shot down two days earlier) and arrival at Stalag Luft III, the first thing Cleven said  to Egan was "What the Hell took you so Long" and he replied, "That's what I get for being sentimental"! John was my roomate in Primary pilot training, we were Squadron Commanders in the same group and roomates in POW camp. 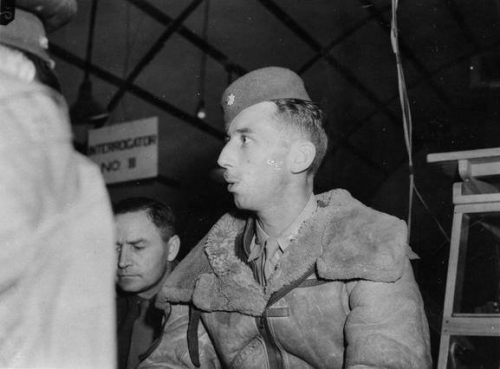 ON JUNE  21ST 1943, MAJOR JOHN EGAN BECAME THE FIRST MEMBER OF THE 100TH TO PARTICIPATE IN A COMBAT MISSION. 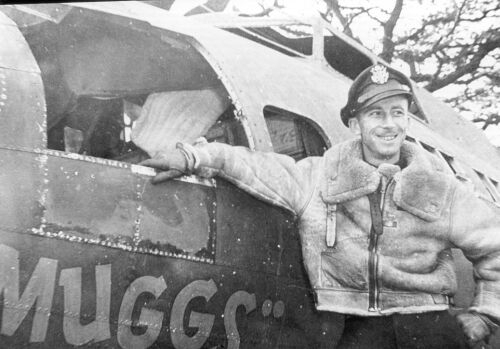 TARGET AND GROUP HE FLEW WITH ARE UNKNOWN. 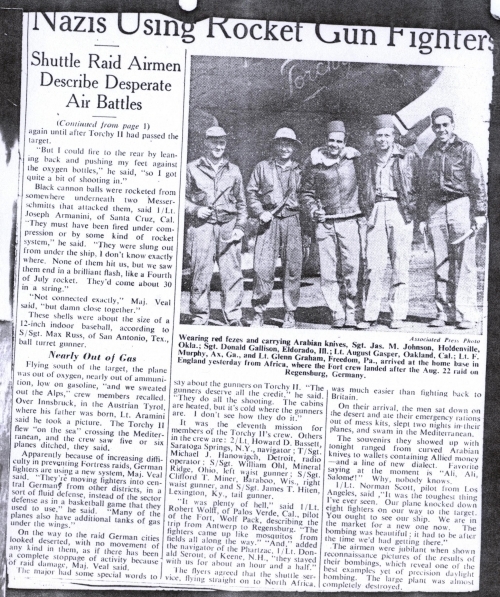 EGAN HAD BEEN REPORTED MISSING BUT FORTUNATELY CAME THROUGH A ROUGH MISSION AND HIS PLANE LANDED SAFELY AT A STATION DIFFERENT FROM THE ONE HE LEFT. 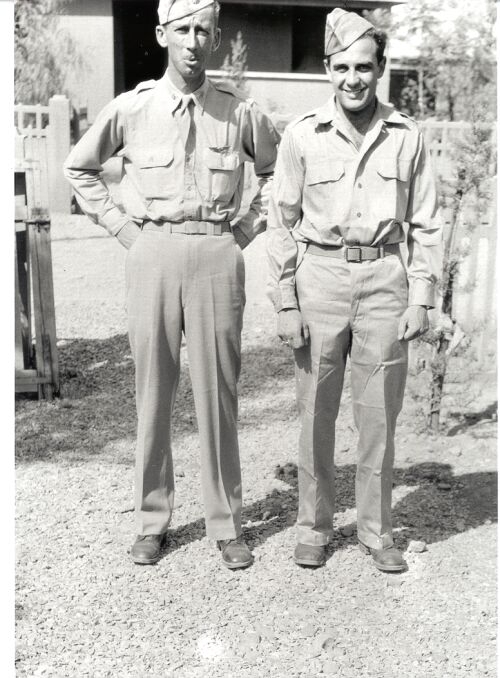 T/SGT JOSEPH E. HAFER REPLACED SGT SAUL LEVITT AS ROG AFTER LEVITT WAS INJURED IN JEEP ACCIDENT. 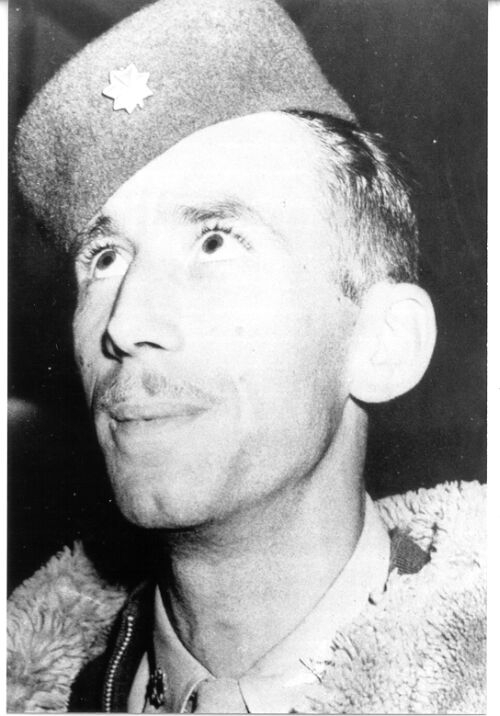 SAUL LEVITT WAS TRANSFERRED TO THE STAFF OF "YANK" MAGAZINE UPON HIS RECOVERY. HAFER WAS TAKEN PRISONER. 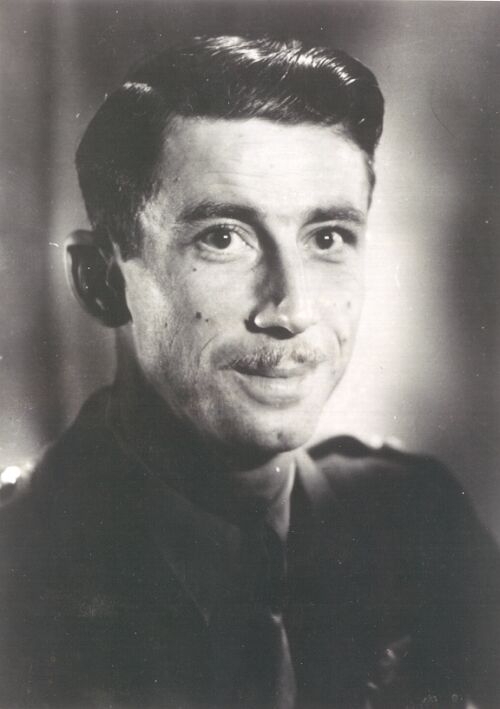 LT DAVID SOLOMAN, THE REGULAR NAVIGATOR ON CREW #29 REPLACED 2ND LT. HARRY CROSBY FOR THIS MISSION AND WAS TAKEN PRISONER AS WELL. 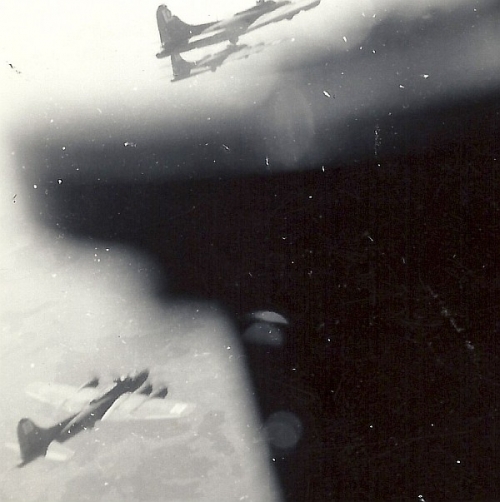 CREW #32 LED THE 10 OCT 43 MISSION AND MAJ JOHN C. EGAN, THE 418TH CO, FLEW IN THE CO-PILOT'S SEAT. NEAR THE I.P. 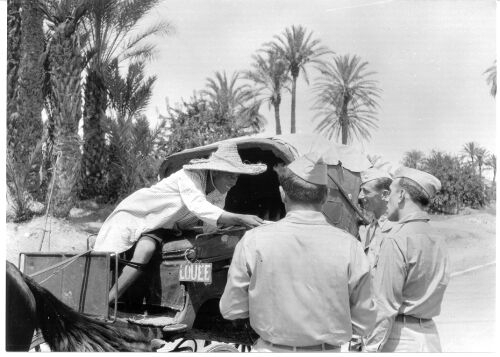 "MLLE ZIG ZIG"  WAS HIT BY FLAK KILLING SGT CLANTON AND BADLY WOUNDING HOWARD HAMILTON AND ROLAND GANGWER. THE SURVIVING CREW MEMBERS SUCCEEDED IN BAILING OUT AND WERE TAKEN PRISONER. HAMILTON AND GANGWER SPENT A LONG TIME IN THE HOSPITAL. 1. Requiem Mass for the late Colonel John C. Egan, 3781A, USAF, Will be held at 1000 hours, 19 April 1961 in the Fort Myer Chapel. Internment will follow in Arlington National Cemetery with military honors. Friends who desire to view Colonel Egan may call at the Administration Building, Arlington National Cemetery at 0930 hours on 19 April 1961. 2. 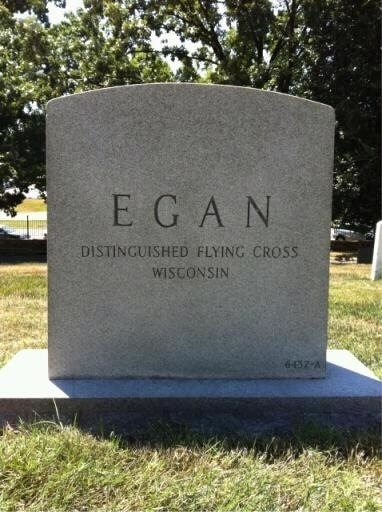 Colonel Egan was born in Manitowoc, Wisconsin on 9 September 1915. 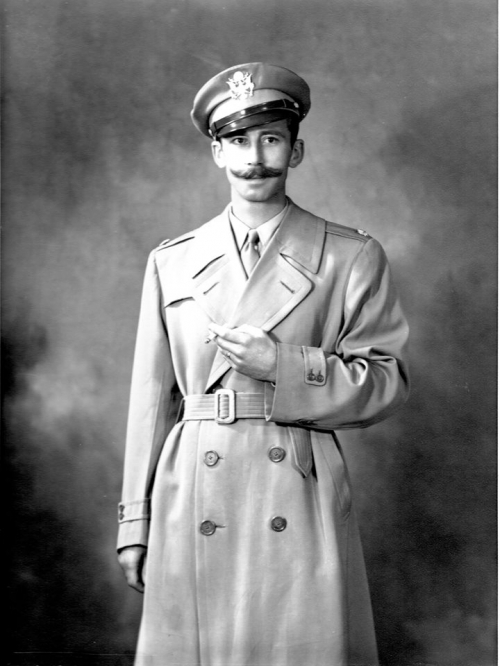 He entered the Army Air Corps in March 1940, graduating from pilot training as a Second Lieutenant on 15 November 1940. 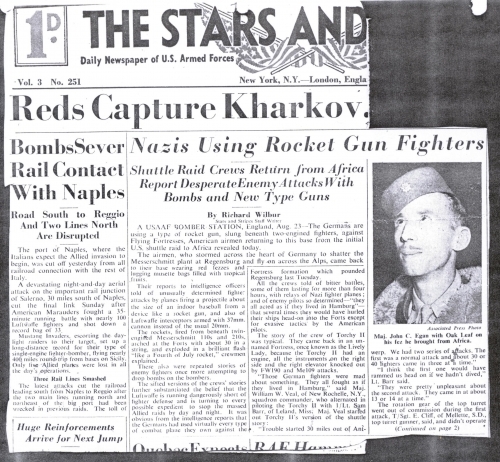 During World War II he served in the European-African-Middle Eastern Campaign and was a Prisoner of War in Germany. 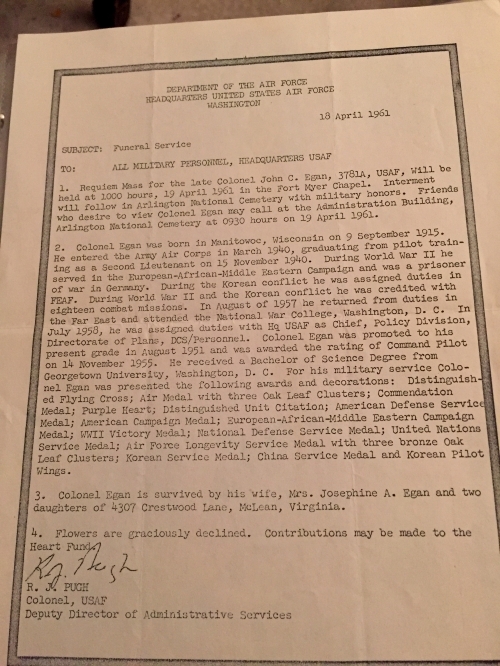 During the Korean conflict he was assigned duties in FEAF. 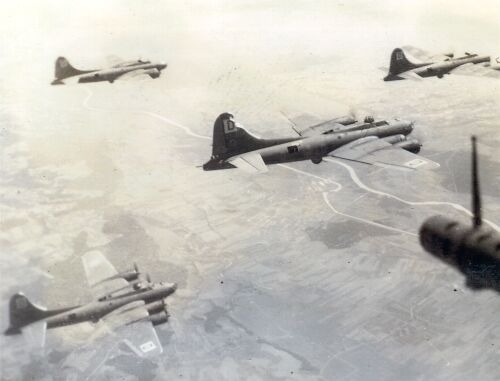 During World War II and the Korean conflict he was credited with eighteen combat missions. In August of 1957 he returned from duties in the Far East and attended the National War College, Washington D.C. In July 1958, he was assigned duties in the Hq USAF as Chief, Policy Division, Directorate of Plans, DCS/Personnel. 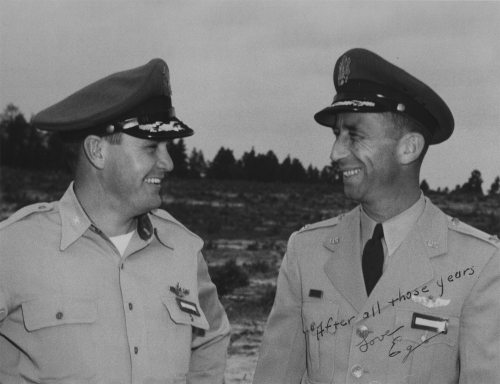 Colonel Egan was promoted to his present grade in August 1951 and was awarded the rating of Command Pilot on 14 November 1955. He received a Bachelor of Science Degree from Georgetown University, Washington D.C.   For his military service Colonel Egan was presented the following awards and decorations: Distinguished Flying Cross; Air Medal with three Oak Leaf Clusters; Commendation Medal; Purple Heart; Distinguished Unit Citation; American Defense Service Medal; American Campaign Medal; European-African-Middle Eastern Campaign Medal; WWII Victory Medal; National Defense Service Medal; United Nations Service Medal; Air Force Longevity Service Medal with three bronze Oak Leaf Clusters; Korean Service Medal; China Service Medal and Korean Pilot Wings. 3. 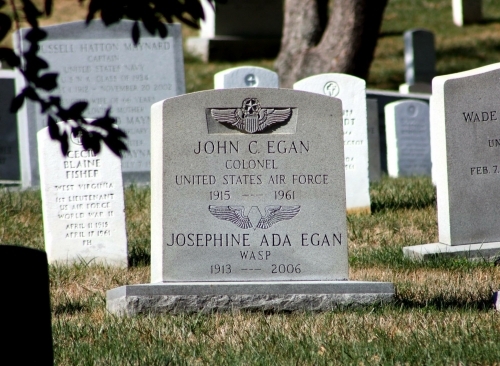 Colonel Egan is survived by his wife, Mrs Josephine A. Egan and two daughters of 4307 Crestwood Lane, McLean, Virginia. 4. Flowers are graciously declined. Contributions may be made to the Heart Fund. 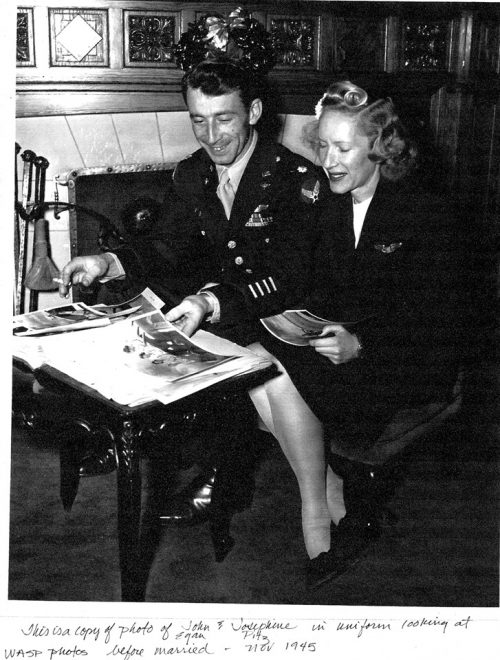 Future Wife to be Josephine Pitz Egan was a WASP who ferried B-17's, PT-19, C-47. Was assigned to New Castle Army Air Base. 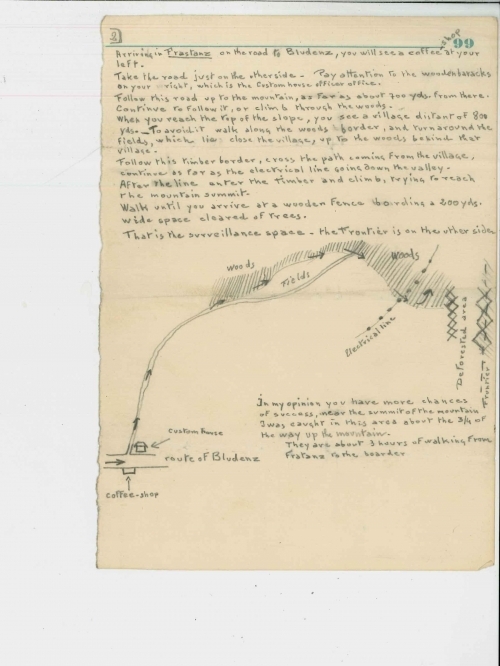 Editor’s Note: John Archer is a longtime British friend of the 100th and its veterans. Various articles by John have appeared in Splasher Six over the decades, and he continues to stay in touch with this Editor and likely with others of our group through cheerful cards and notes. The occasion of John’s Christmas greetings spurred me to re-read some of his stories. First written at Christmastime, 1976 and published in The Diss Express (Diss, England), Harry Crosby reprinted it in Splasher Six, Winter 1980 issue. 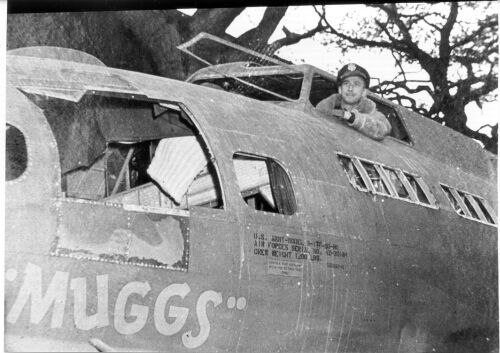 In early October 1943 when missions were tough and losses were heavy, 100th BG legend Major John Egan had the following memorable encounter. The Major was a lean, dark young man with a wisp of moustache. He was 27, but looked older. He could turn on the charm and turn it off whenever he liked. It’s the kind of thing one experiences in foreman of construction gangs and traffic managers at airports, in jobs where contact and participation with the men is the prime factor. 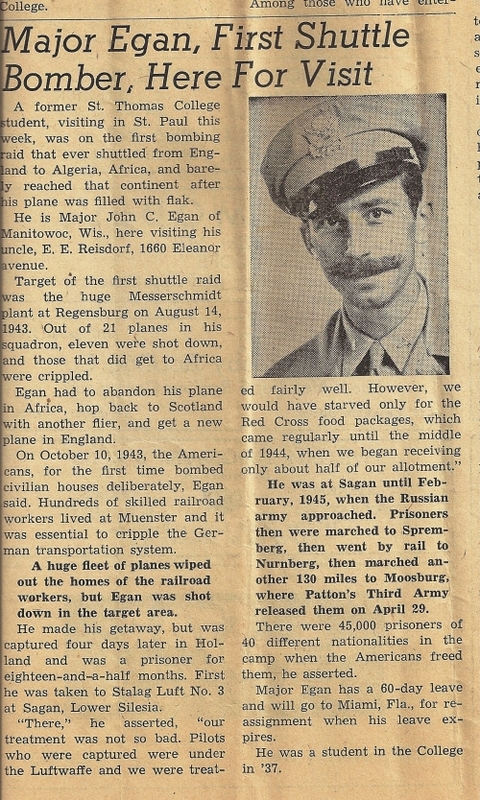 Major Egan was involved in the case of “Meatball vs the Pullet” a few days before he went down on a raid over Germany. Now Meatball was a half-grown husky dog which the crew of the B-17 brought over from Labrador on their way to Thorpe Abbotts during the summer of 1943. It seemed that Meatball was a bad dog, and all of a sudden turned into a chicken killer. And when did he decide to become a chicken killer? 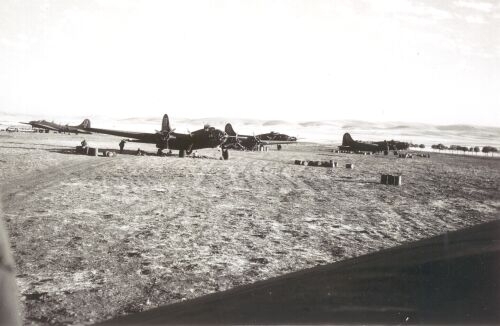 At a time when the personnel were involved in the toughest flying missions the group had yet undertaken. Deep raids as far as Danzig against desperate opposition. And in this tense atmosphere Meatball got playful one morning and mangled a chicken dead. The nearby farmer went bustling up to the orderly room to see the Major. 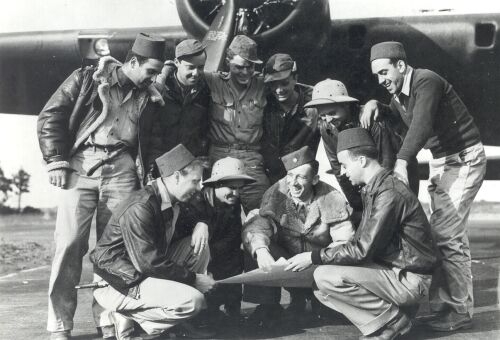 Major Egan was sitting in with his pilots having an informal briefing with the men about new tactics in aerial combat. 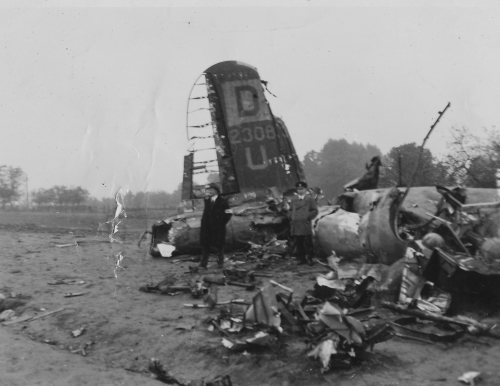 It was the afternoon following a raid on Emden, October 3, 1943. “It is,” said the farmer, calming down by this time. Where did you ever hear of a Major who knew anything about pullets, and what is more, who would talk about loss sympathetically in the middle of a grim military operation? Clearly the Major was now pulling out the charm act. He could, of course, have turned the whole matter of Meatball, pullet and payment over to the Adjutant. But the affair seemed right down the Major’s alley. All the new crews who had just arrived at Thorpe Abbotts were by that time listening with amazement. “That pullet, did she look like a layer?” asked the Major. You could see by his face that he was rather tired, after all, it was only an hour or so since the raid was over. “She did, Sir, for a fact,” said the farmer. “Well, what would you say she’s worth?” asked the Major. “Twenty bob,” said the farmer. “All right,” said the Major. 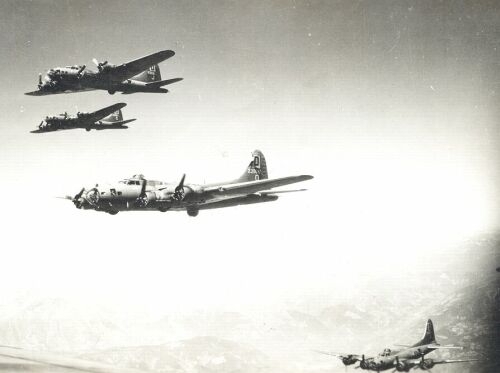 “I think that’s a pretty reasonable sum for a good pullet, don’t you?” he inquired looking around at the crews who flew the big bombers. They looked at him quite dumbfounded, not quite figuring it out, and wondering who was pulling whose leg. And the Major was aware he had everyone right there in front of him. He was the actor and the rest were the audience. The farmer had departed by this time, very pleased, and the Major was rocking back and forth on his chair and looking around. And from the subject of the Germans using rockets and guns, the conversation was not on pullets. One of the young officers piped up and remarked, “A pullet, isn’t that some kind of… a rooster… like…” The Major glared at him and the officer’s face grew red. By now the class was sitting quite quietly. “A pullet,” said the Major patiently, “is a half-grown female chicken which lays a small egg with a very small yolk.” And he showed them just how big with his fingers. “Then,” continued the Major, “the machinery inside the pullet goes to work and all of a sudden – one fine day it lays an egg twice as big as the usual and it is no longer a pullet.”  The briefing closed at that point. 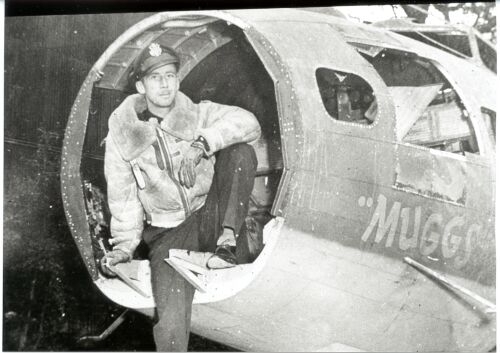 A few days later, Major Egan said goodbye for the last time to Meatball before climbing into his B-17. On October 10th, during a raid on Munster, the Major became a guest of the German forces, spending the rest of the war in a prison camp. There was a certain pub in Dickleburgh that missed Major Egan. Sometimes he drove down in a jeep and sang songs in the bar with the locals and Irish laborers. 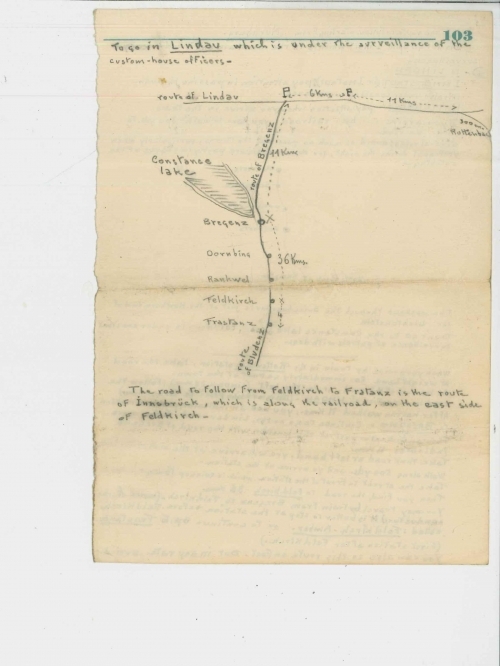 With the affair of Meatball and the pullet, and the grim task of flying missions, Major Egan rounds out into a real example of an American who once walked the lonely lanes at Thorpe Abbotts. 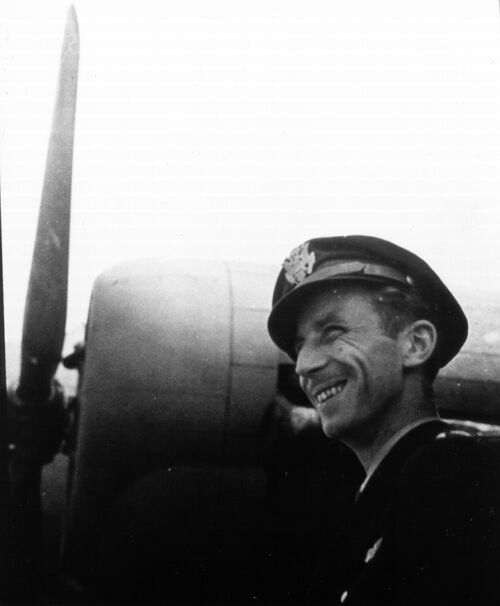 Egan served as Air Exec for the 100th, as Commander of the 418th Squadron, and on the Munster raid flew as Command Pilot on John Brady’s lead crew. 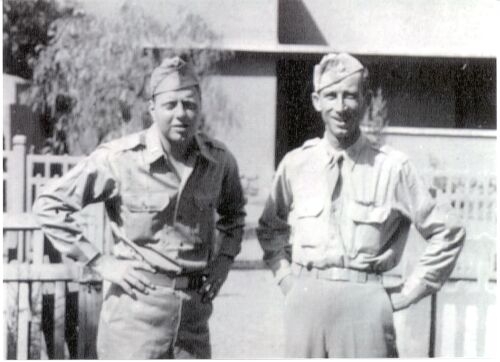 After being shot down, all but one of Brady’s crew survived as POWs. Egan stayed in the USAF following the war, attaining the rank of Colonel before dying suddenly of a heart attack in 1961 at age of 45. He earned the respect of all with whom he served. Cleven and Egan re-enacting classic photo 10 years later. John & Josephine Egan before being married. 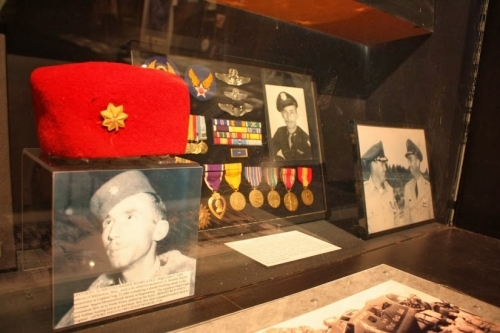 Display at Mighty Eighth Museum in Savannah of John C. Egan's Medals. Western Union MIA notice sent to Parents after Munster Raid. 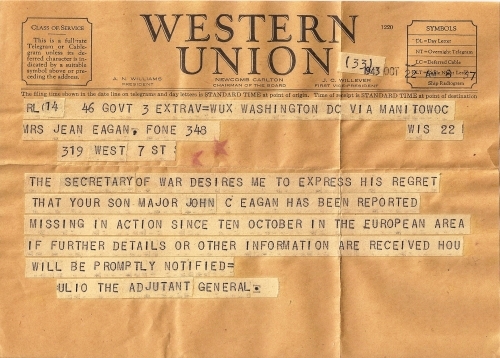 Western Union notice that Maj John C. Egan is a POW. Those are an agonizing days for the Family waiting for this news. 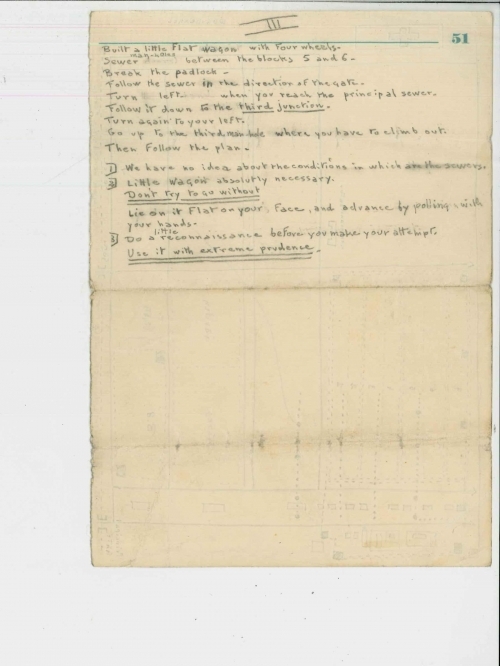 Last Letter John C. Egan sent home to his Mother before he was shot down. Believe the photo he sent his mother was of him sitting in MUGGS. 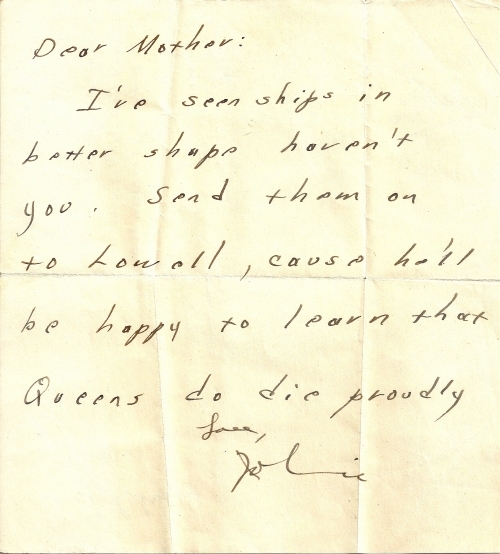 John Egan's mother wrote this on the back of the letter. 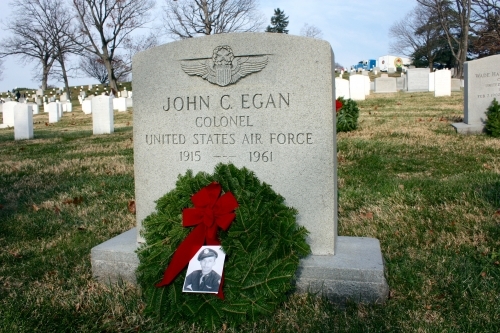 Maj John C. Egan reported MIA. 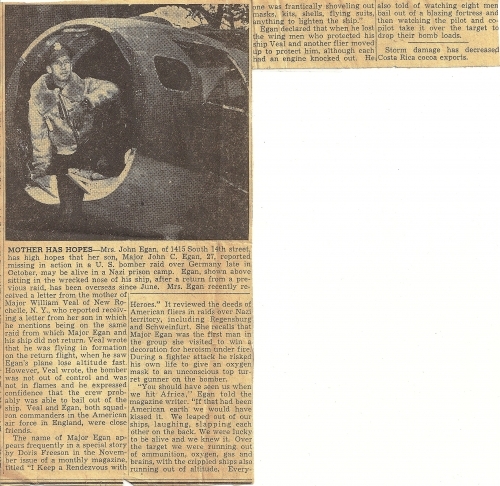 Newspaper article about Maj Egan visiting his former College. 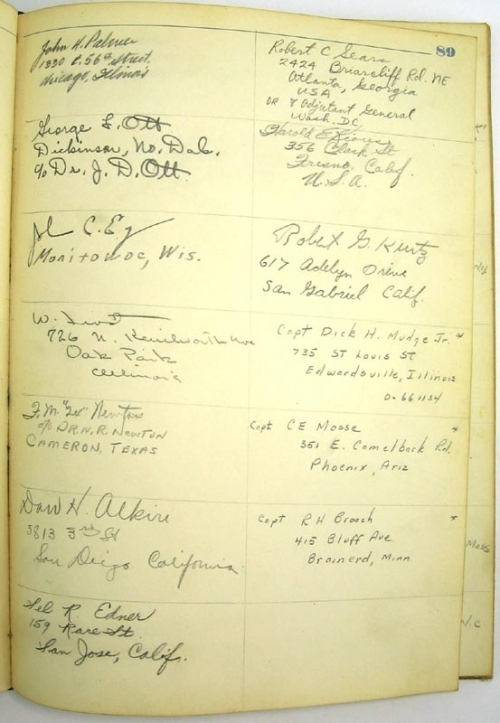 Page from the rare book " Kriegie Life" written and published by Carl H. Holmstrom. 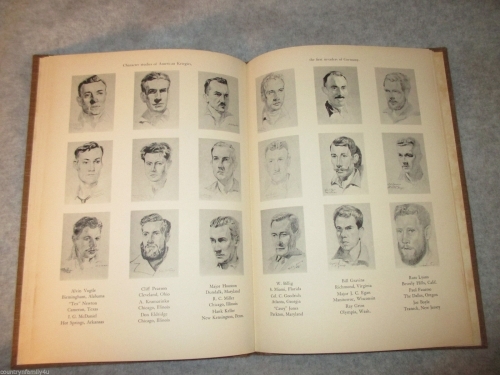 He did sketches for lots of POW's. Stars and Stripes article on Regensburg. 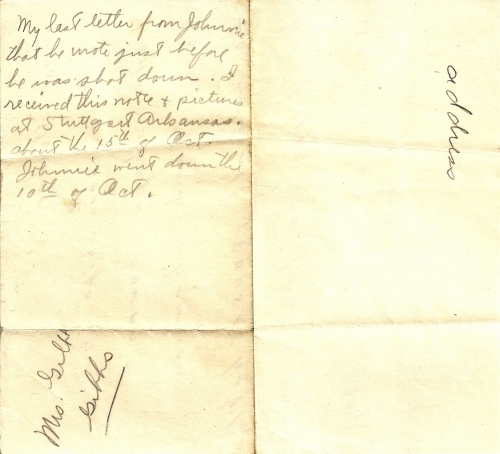 John Egan Luft III signature page to verify a person was alive and a POW in case of German reprisals against prisoners. 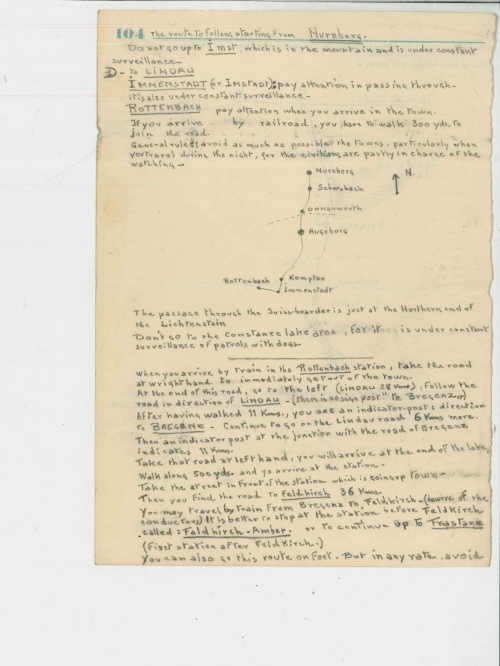 Stars and Stipes article Part II on Regensburg with Cruikshank Crew and John Egan. Sitting:  Al Paul, Butch Goodwin, Harry Cruver, Horace Varian to name a few. 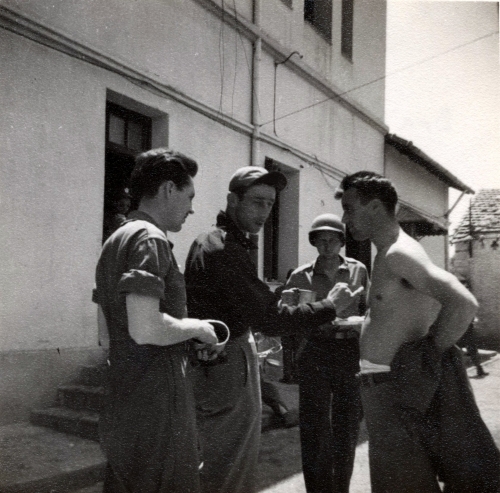 John Brady, John Egan, and Charles "Chankshaft" Cruikshank in Algeria, following the Regensburg Mission (photo courtesy of the Edmund Forkner family and James Blakely).